I have some very important news to share with you today. Erin from Dinner, Dishes, and Desserts has organized an online bake sale which is being held on July 8th. and 9th. This amazing event will help the victims of the devastating Colorado wildfires. Colorado has suffered from more than one very destructive fire so far this summer. The High Park Fire that started on June 9th has destroyed 257 homes, and burned more than 87,000 acres. It is now fully contained (that does not mean it has actually stopped burning). On June 23rd, The Waldo Canyon Fire started. It has destroyed approximately 350 homes, and burned over 18,000 acres. The Waldo Canyon Fire is currently 55% contained, with more than 3000 people still evacuated from their homes. Together these fires have cost over $50 million dollars to fight, and the work is not done. 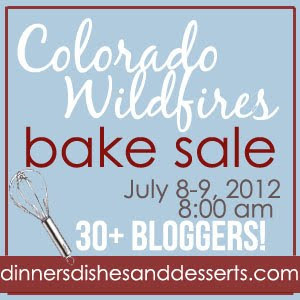 The proceeds from the bake sale will benefit the Colorado Disaster Relief c/o the American Red Cross. 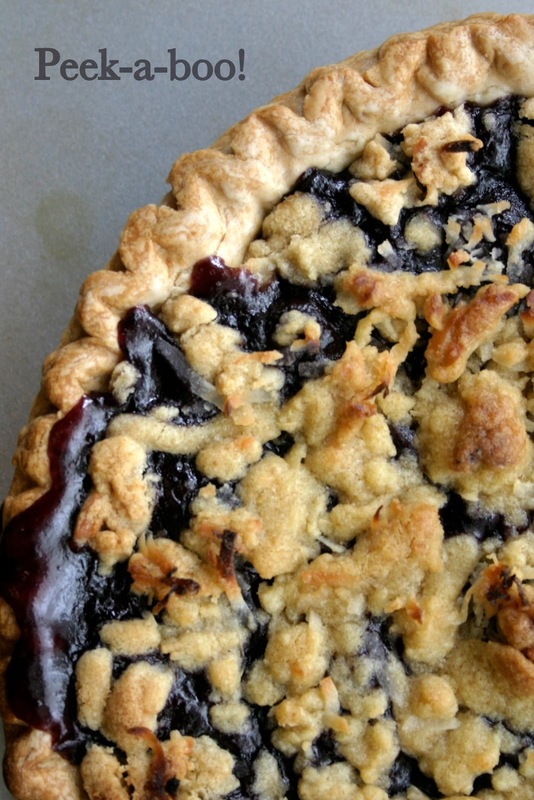 The heart behind this online bake sale is Erin from the amazing blog Dinners, Dishes, and Desserts. She shares the most fabulous dinners, dishes, and desserts just as her blog title states. She most obviously has a huge heart and it is with this huge compassionate heart that she came up with this bake sale to help with her fellow residents of Colorado. I am very honored that Erin invited me to be a part of this amazing group of talented, wonderful bloggers who are donating their time and their goods to this very worthwhile cause. 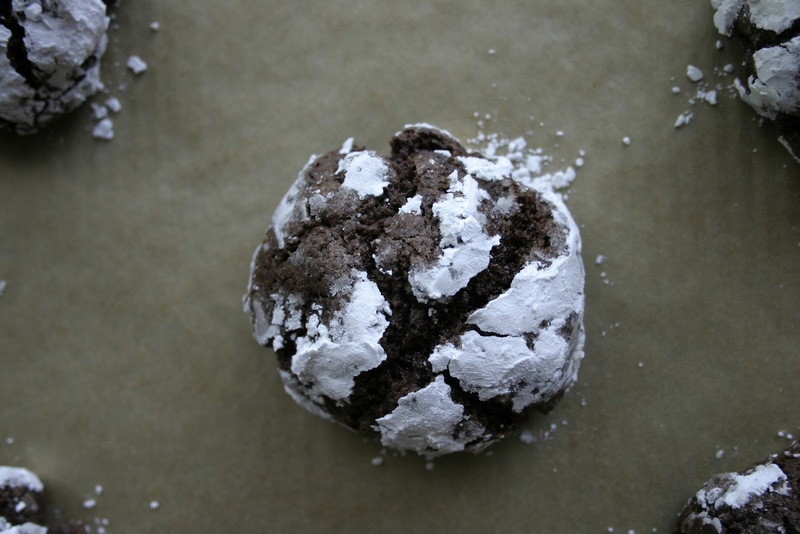 (I am donating my Brownie Crackle-Top Cookies). There are so many delicious treats to choose from. As well as products from Kerrygold, Green Mountain Coffee and Le Creuset will also be raffled off! I would also like to send out a big thank you from the bottom of my heart to Kerrygold for their generous offer to donate butter and cheese to those who are baking for this very important event! In closing, it is from my heart to yours that I ask that you follow the link over to Dinners, Dishes, and Desserts. Go ahead and steal a sneak peek of what's to be available on July 8th. And on July 8th. please bid on any number of delectable treats donated from our amazing community of bloggers who always pull together during times of need. Thank you Erin for organizing this event for the wonderful residents of Colorado! You rock, girl! !